The toy collection here has expanded recently to include vintage kerosene heaters. That got started after finding some old heaters at the family cottage when I was rummaging around there after my dad passed away. I was quite surprised to find these as they had never been used in my lifetime, yet they appear to have come with the cabin, which my grandfather purchased in the early 1950s. In a way, I was a little annoyed to find them because we had endured many mid-autumn closing trips to the cottage where we were quite cold and had no source of heating ... gee, thanks, Dad for not using these very usable old heaters! The heaters I found at the cottage were manufactured by the Perfection Stove Company, which made literally millions of kerosene heaters from before the turn of the last century until about 1980. I do not pretend to know a lot about kerosene heaters. 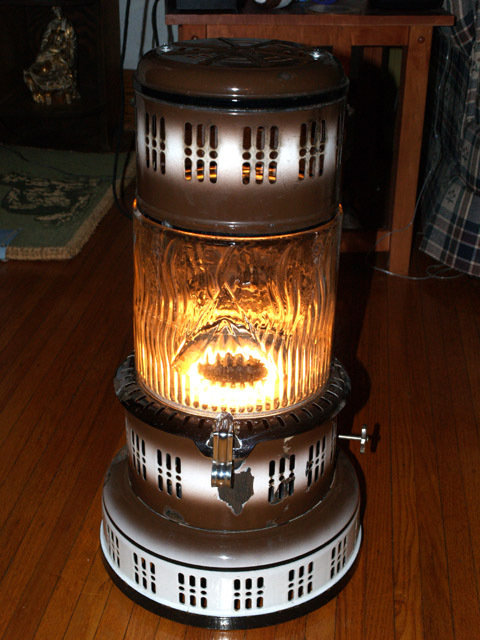 There are two excellent web sites for deeper knowledge about antique heaters. Miles Stair's Wick Shop is a comprehensive site about all things kerosene -- lamps, stoves and heaters -- as well as being an online store with wicks for many old heaters and lamps. One can easily spend hours on that site. Another great web site for kerosene appliance collectors is Heatburner.com. 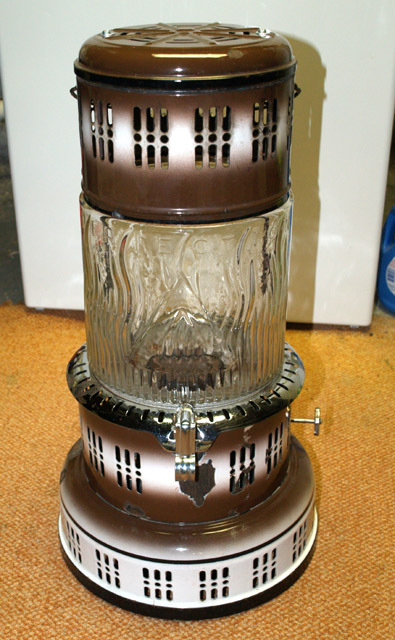 This forum is a great resource for hints, tips and tricks for restoring and using old kerosene appliances, as well as a place to share photos and stories about users' collections. The venerable Perfection Model 525. Perfection's basic "utility" heater that was manufactured from the early 1910s into the 1950s, and then had a minor style revision to modernize the look a bit as the 525M which was then manufactured until the end of Perfection's heater manufacturing around 1980 -- an approximately 70-year run! That is unheard of these days with technology items that are out of date by the time they go to production. We believe this 525 was from the late 1910s or early 1920s as it is from around the time that the cottage was built. 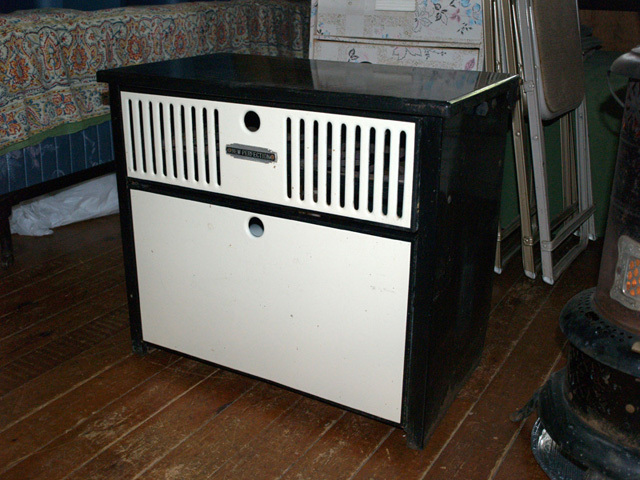 The Perfection Model 1312 Heat or Cook Trailer Stove. This was a two-burner compact stove that Perfection made for the burgeoning camper trailer market in the 1940s. Manufacture of this model was started before World War II as it is listed in a 1940 Perfection price list for the princely sum of $28.50! Perfection continued to make these after the war. 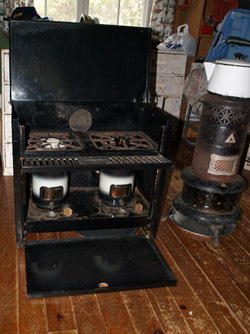 The 1312 could be used as a two-burner stove or as a heater. Instructions on the stove say to prop the top cover open part way to use the stove as a heater. There is a small bracket on the right side that flips up to prop the lid half open. This photo shows it closed up and not in use. This is what the 1312 looks like when it's open in the stove mode. In this shot the right side burner is lit and operating. The 525 can be seen next to the 1312. 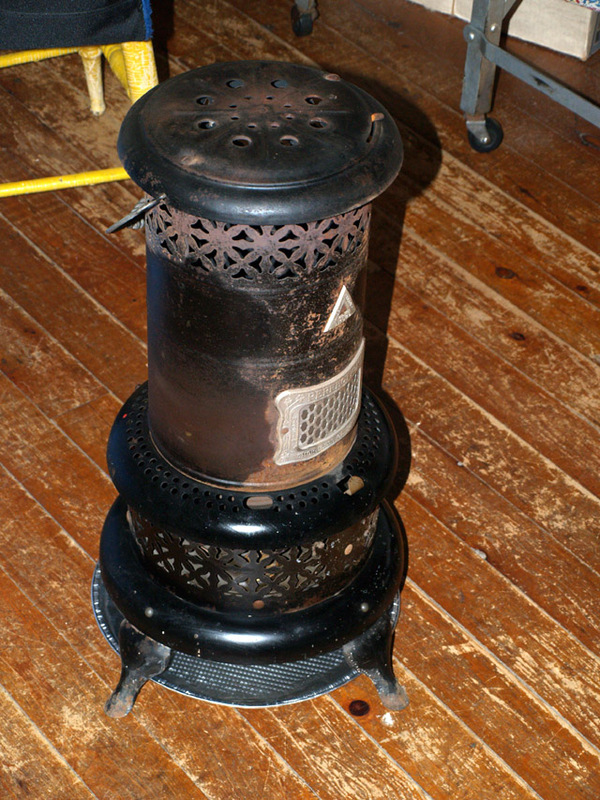 After seeing how useful the heaters were at the cottage, I decided that we could use one more to really heat the place well. 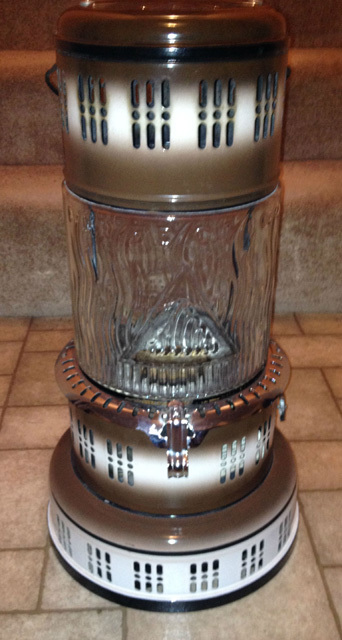 I discovered the Heatburner.com site mentioned above and started learning about the other Perfection heater models that were offered over the years. 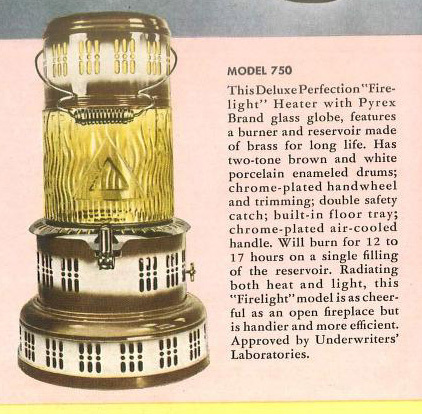 Perfection had their "Firelight" line of heaters which had a glass midsection that allowed the heaters to give off light as well as heat. 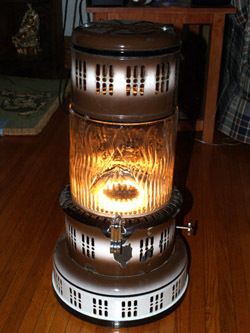 I trolled the e-place for heaters and I ended up with the Model 750 Firelight seen here. Though, it didn't look like this when I received it. A combination of a packing error and rough handling by the postal service had the heater delivered to me with a smashed glass globe. I was refunded my money by the seller and told I could keep the parts. Back to the e-place to hunt for a replacement glass globe. I eventually found one and got this heater back together. I also had to clean up a little dirt, grime and rust and it was back to looking really good. And here's the 750 lit for the first time after I replaced the globe and cleaned it up. This is an original Perfection catalog listing and description for the 750 from the late 1940s. After receiving the 750 with the broken glass the hunt was on to find a replacement globe. My searching took me not only to the e-place but also the c-list place. In looking around there I discovered a very nice Perfection 750X, which is a slightly later version of the 750. The heater was unfortunately a few hundred miles from me, but a friend who happened to live near the seller of the 750X was a huge help to me and took delivery of it. This 750X is a real beauty, having few -- if any -- blemishes on the porcelain. At the moment the 750 is still at my friend's place ... I can't wait to get it from him and fire it up! Since I am well set for heaters at the cottage with the 750 now running, the 750X will be a reserve heater at home for those extra cold evenings.